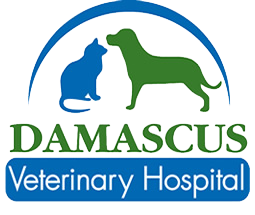 Damascus Veterinary Hospital in Damascus, MD is a full service companion animal hospital. It is our commitment to provide quality veterinary care throughout the life of your pet. Our services and facilities are designed to assist in routine preventive care for young, healthy pets; early detection and treatment of disease as your pet ages; and complete medical and surgical care as necessary during his or her lifetime. $25 OFF EXAM FOR NEW CLIENTS. $25 off for an initial wellness exam for one pet of new clients. Not good toward exams for sick pets, boarding, medication or retail items. Schedule your pet's appointment now by calling us at 301-253-2072. Then be sure to print and bring in this $25 Off Exam Coupon to take advantage of our new client special. Offer good for one pet per household.